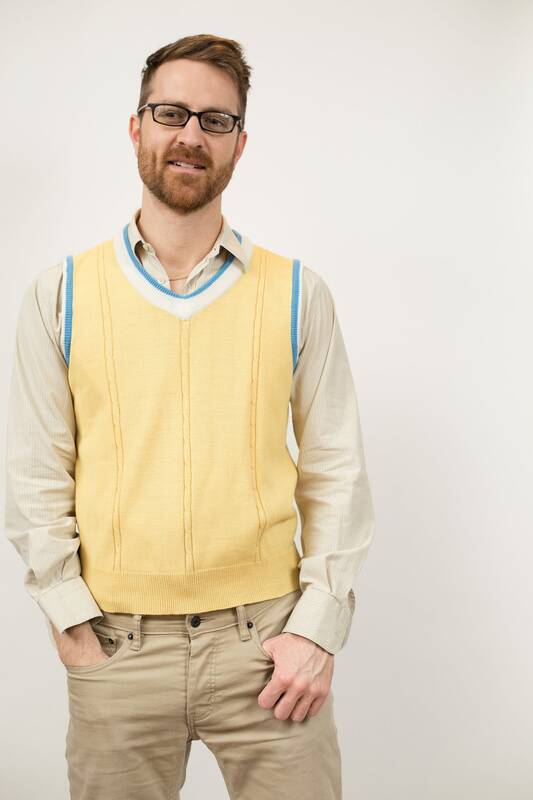 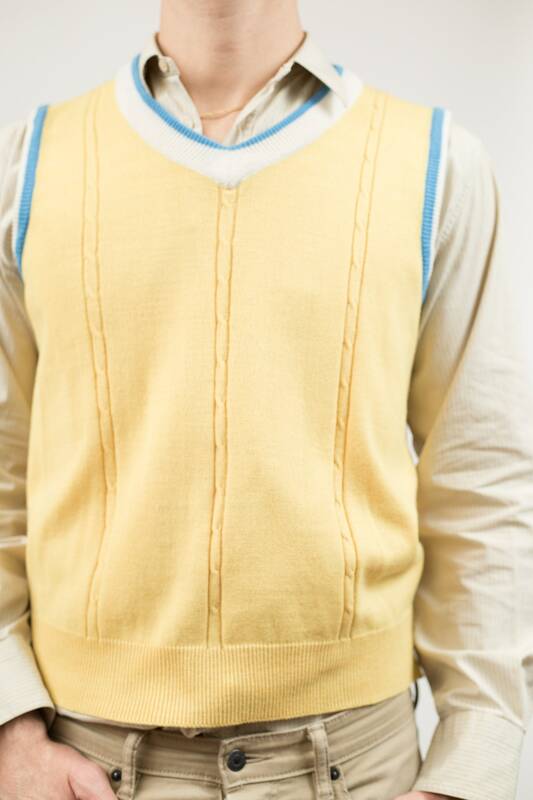 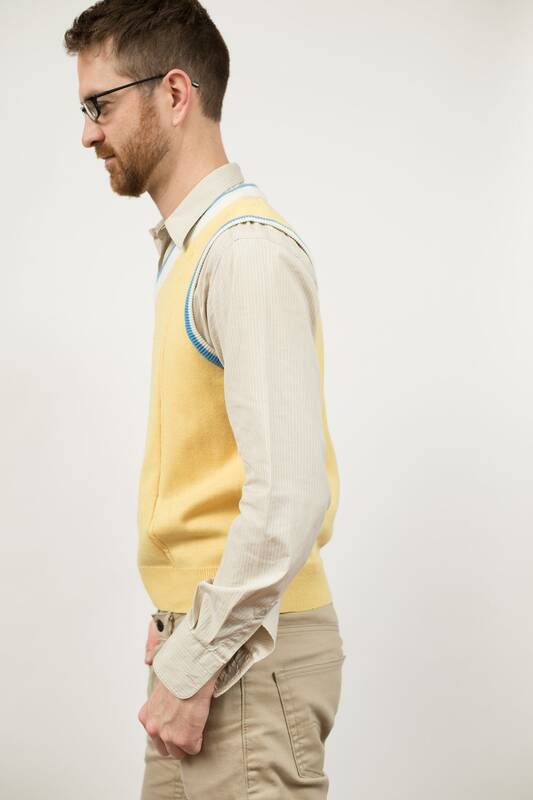 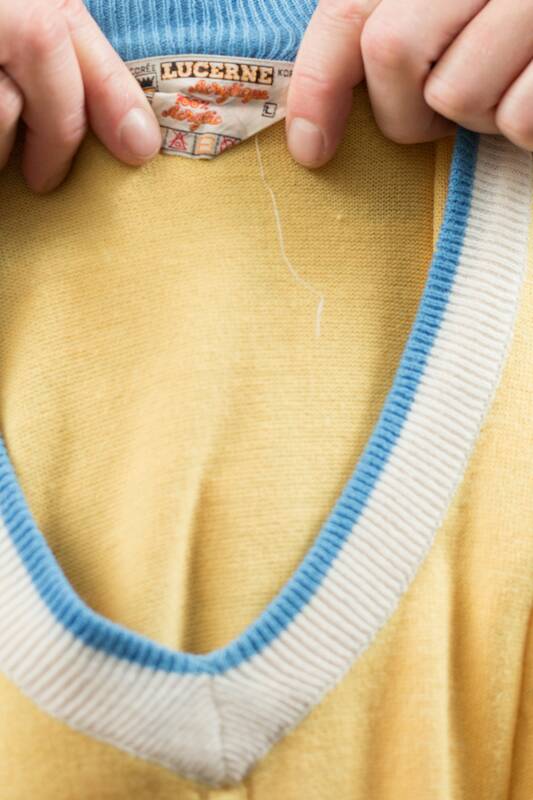 This is a classic vintage yellow preppy knit vest with blue and white trimming. 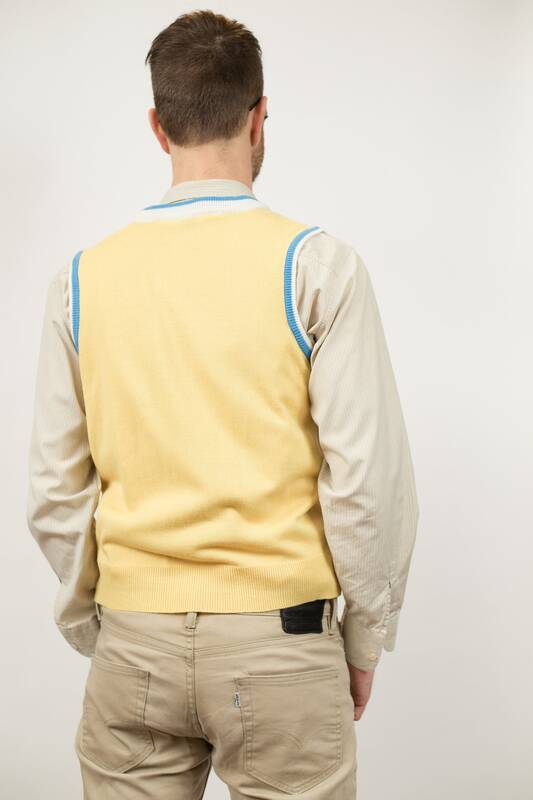 Fresh Prince feelz. 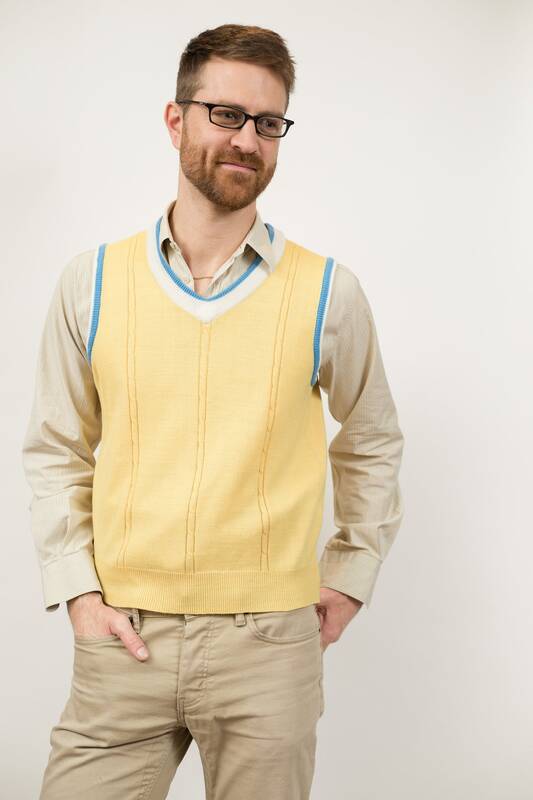 Fits Like: small (Model wears medium and is 5”11). 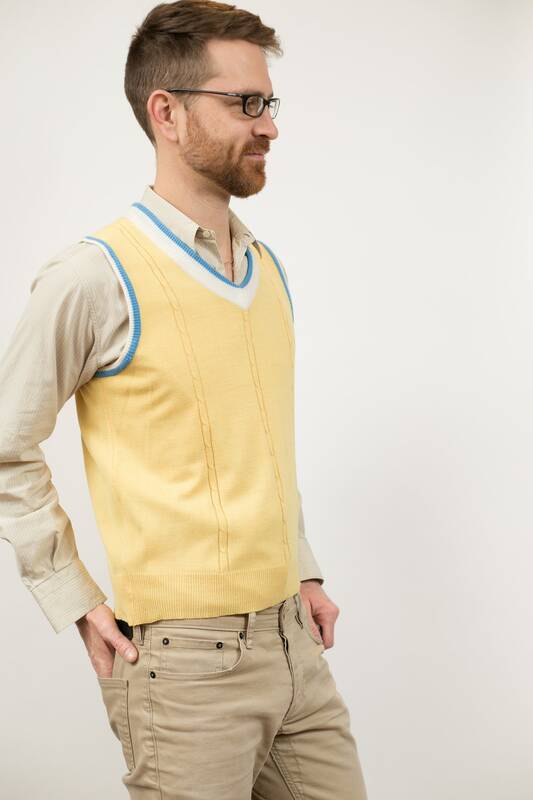 Length from shoulder to bottom of garment: 23.5"